Welcome to the toy review, image gallery and information page for Transformers The Last Knight Silver Megatron . Along with images of Silver Megatron you can also find information about this Transformers figure including and subgroups and alternative names. On the left hand navigational menu you can find a list of all of the toys that use the same mold, all of the toys that aer based on the same character as this figure, as well as a list of the latest Transformers toy gallery that have been added to this website. Below this introductory paragraph, you will find some tabs that, when clicked, will replace this area. You can use them to view the various profiles that have been associated with this toy, the TechSpec of the figure, a list of tags that were associated to the toy image gallery as well as a tab dedicated to all of the toys that are associated with this one. That tab will allow you to jump between "linked" toys. 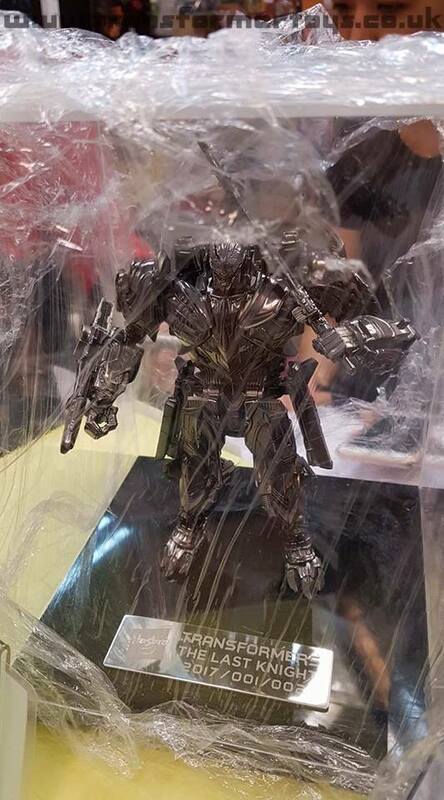 The following tags have been associated with this Transformers The Last Knight Silver Megatron gallery. In August 2017 a 2nd Transformers: The Last Knight prize campaign was held in Kuala Lumpur, Malaysia though this time it was not held at the MyNews.com convenience store but was held at another local store. To enter the draw you needed to spend over 300MYR ($70) on merchandise in one purchase. By doing so you then received one ticket with multiple tickets being available. The draw was hugely popular with 200 entries being made within the first day. We are still researching the exact dates of the draw but the campaign went widely unreported outside of the country with it's first recorded reference being during our Japanese prize campaign panel at TFNation 2017 where we showed off the first in-store images of the first of the two figures. 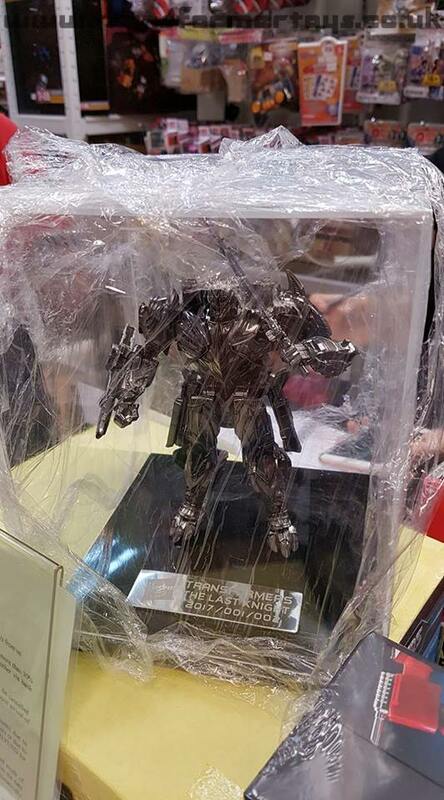 Much like the gold MyNews.com Optimus Prime, Megatron comes within an acrylic case and is glued to the stand. The campaign was run in conjunction with Hasbro Malaysia and has a plaque glued to the base with the year and then the product number. E.G 2017/001/002 meaning the figure was from 2017 and is number one of two. We own number 2 of 2 and you'll notice that the head position is different between version 1, which faces forward, and version 2 which looks to the side. We do not know whether this was intentional, whether the head was moved whilst the figures were put into the cases or if the toy moved in transport to the UK. The case itself is glued to a wooden base much like the MyNews.com Gold Optimus Prime. TRANSFORMERS Combiner Wars MEGATRON G1 Silver GENERATIONS Leader NEW! SEALED! NEW Hasbro Transformers Animated Leader Class Megatron Silver Variant RARE! Page Rendering Time: 0.6006 seconds.